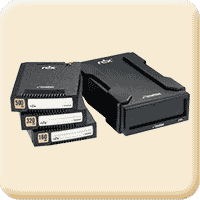 The proliferation, performance, and pricing of hot pluggable USB and SATA hard drives, cartridge drives and flash drives has quickly made them a force in the backup and disaster recovery storage space as a direct replacement to tape storage. BackupEDGE 3.x (beginning with 03.00.03) recognizes this and defines a new storage Resource type to handle them all called “SharpDrive™ Media”. With our usual eye toward Bare Metal Disaster Recovery and Instant File Restore™, we've engineered this feature with capabilities far beyond those of other products. Completely automated (wizard-style) preparation of hard drives or flash drives to be used as BackupEDGE devices. The user must initialize each piece of media once (through EDGEMENU) to confirm that it is the right device and make it BackupEDGE-ready. During initialization you may give the medium a label which appears on all reports. Capacity detection is automatic. Quota is set to the size of each medium automatically, and media may be mixed at random, i.e. 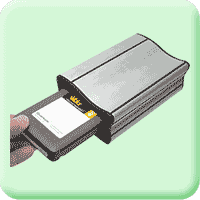 a hard drive may be followed by a flash drive and BackupEDGE will understand each. Multiple archives per medium are supported, using expiration times and lazy reclamation to maximize the number of archives stored for maximum safety. Nine (9) levels of software compression are available. Direct booting for RecoverEDGE disaster recovery is supported under Linux 2.6.x and later kernels formatted with FDISK. SharpDrives may also be formatted with GPT. These are not bootable. Separate boot media or images are required. Full file checksumming for maximum data integrity is supported. Instant File Restore is available from any archive. It is not necessary to read through an entire archive to restore individual files and directories. MySQL™ hot backups are supported. Cases where two or more devices are left plugged in are handled automatically. The SharpDrive with the most available space is used. Available space is defined as a combination of free space plus expired, re-claimable archive space. Devices can be initialized as unique, separate Resources, so that, different tasks can go to different media concurrently, or cases such as “backup to Resource 1, then copy the backup to Resource 2 for off site storage”, can be supported. During disaster recovery, RecoverEDGE automatically scans all connected SharpDrive-formatted media and shows all archives available for restore. 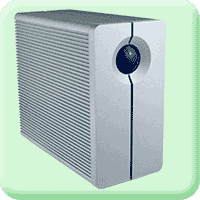 Note 1: SharpDrives under Linux 4.x/3.x/2.6.x kernels can be made bootable if FDISK partitioning is used. If GPT partitioning is used, standard boot media must also be created. Note 2: SharpDrives under UnixWare 7.1.4 and OpenServer 6.0.0 cannot be made bootable. Note 4: SATA devices on UnixWare 7.1.4 and OPenServer 6 are only supported under the operating system AHCI driver, and only if recognized by the operating system; IDE/ATAPI mode is not supported. Note 4: OpenServer 5.0.7 cannot support SharpDrive technology. 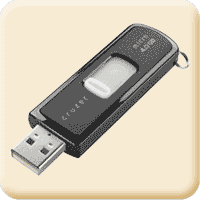 Our Legacy FSP / AF management method may be used with USB hard drives, flash drives, GoVault and RDX drives under OpenServer 5.0.7. The BackupEDGE User Guide has additional information on device support. The Linux Support Tables have additional information pertaining to Linux releases tested and supported by BackupEDGE.